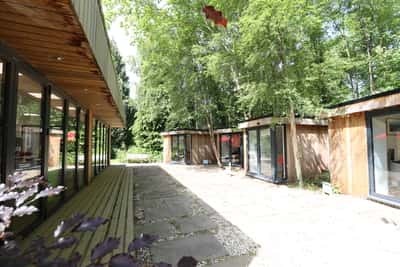 Hexham Enterprise Hub @ Eastburn is delighted to welcome some new tenants which means that all the pods in the grounds are now taken as well as one of the remaining offices in the main building. The new tenants add to the interesting list of existing tenants who include Ludman Planning, Alec Ireland (remote IT consultant in printing/media industry and Astro-photographer), Food Safety Assist (specialists in health and safety in the food industry), M Design (Construction and Civil Engineers) and Bloodaxe Books, poetry publishers and Costa Book of the Year winner 2017. The @ Eastburn Hub is a thriving community of eclectic businesses and hot-desking users, complemented by a flexible meeting room and co-working space offer, all set in the tranquil grounds of the National Park offices in Hexham. For more information email Marion Hume at the hub.